An absolute standout among Inns, Nampa’s newest boutique hotel boasts 82 spacious guest rooms, thoughtful amenities, and modern decor. Business travelers will appreciate the free Wi-Fi and full service business center, just steps from Nampa Civic Center; friends and family will enjoy the indoor heated pool, game room, and pet friendly policy; and extended stays are made easy with a mini fridge, morning paper, and 24-hour fitness center. 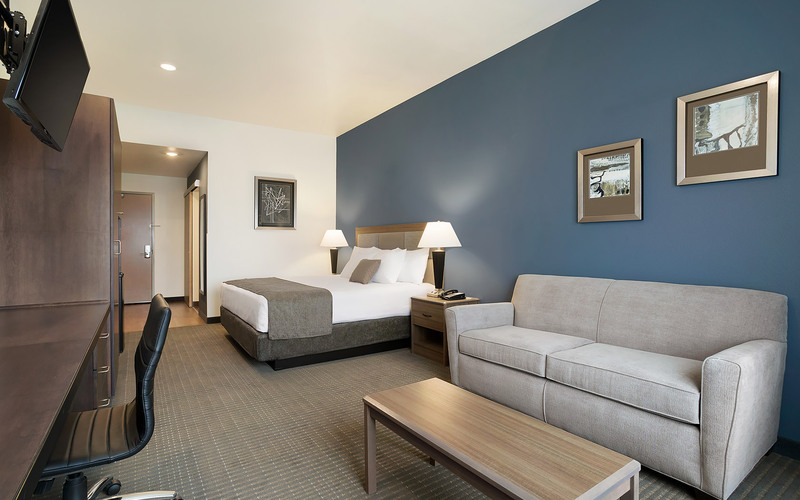 Our Oversized King room is perfect for single business travelers or couples visiting the Nampa area, and comes complete with queen sofa bed for accommodating additional guests. 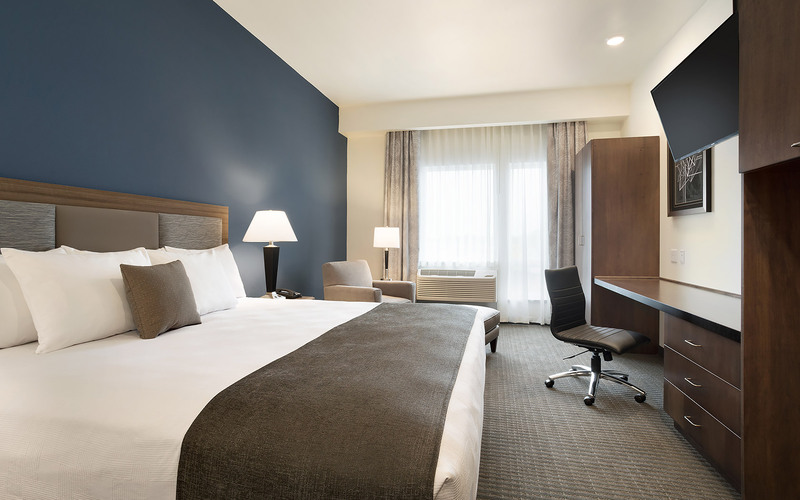 Our King studio is ideal for individuals who want to take advantage of free Wi-Fi, an in-room workspace, and our full service 24-hour Business Center, all steps from the Nampa Civic Center. 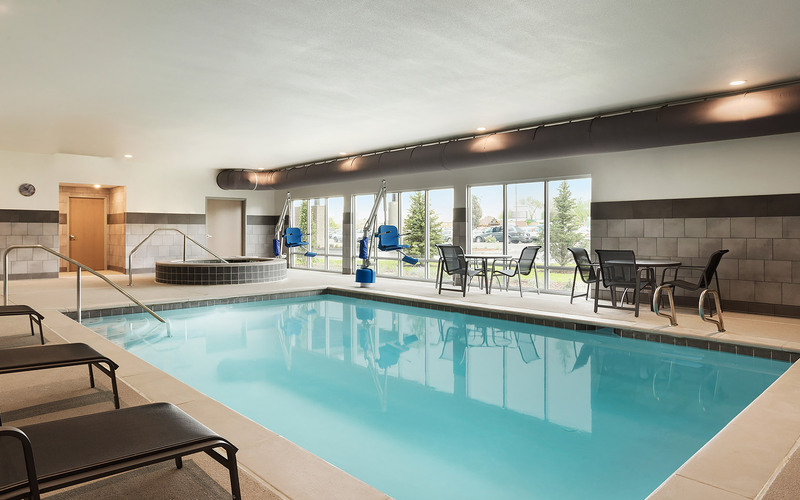 Bring friends and family along on your next Nampa adventure and spread out in a spacious double Queen room, complete with free Wi-Fi, satellite TV, complimentary breakfast and more. 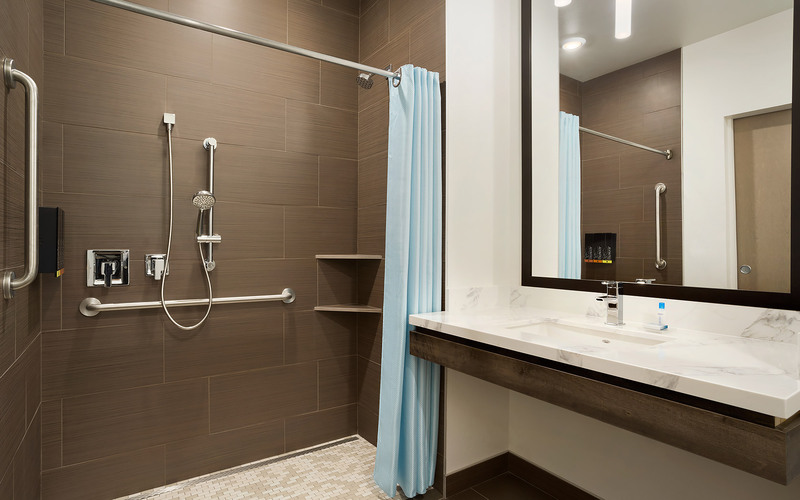 Our Accessible King room offers all the convenient amenities of our standard King rooms, but with added extras like closed captioning TV, walk-in showers and safety bars and seats. 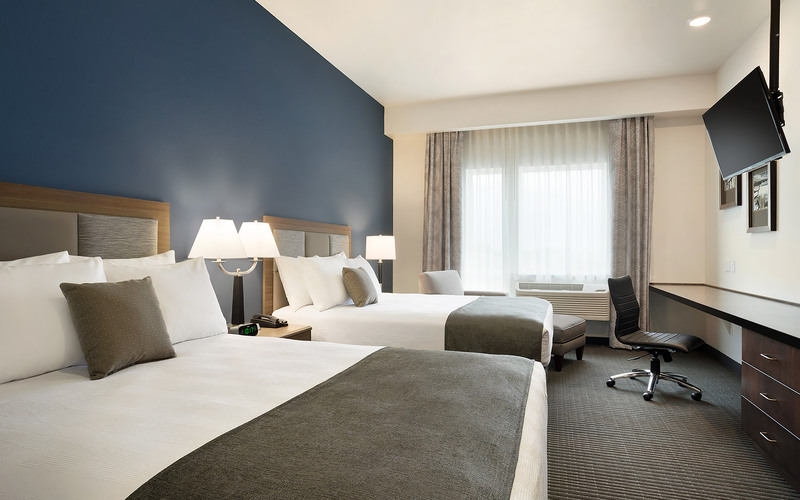 Our Accessible Queen room offers all the convenient amenities of our double Queen rooms, but with added extras like closed captioning TV, walk-in showers and safety bars and seats.